Buy 1 - 2 for $30.95 ea. Buy 3+ for $19.95 ea. The Electrolux EWF01 Pure Advantage Water Filter FC300 fits all Electrolux branded refrigerators, except Electrolux ICON side by side models. The EWF01 filter will fit Electrolux ICON french door models. The EWF01 water filter provides clean and delicious ice and drinking water from your refrigerator at all times. The Electrolux Pure Advantage water filter ensures clear and perfect ice with the touch of a button! This Electrolux refrigerator water filter reduces 99.99% of Cysts, 99.10% of Class 1 Particulates, 97.80% of Turbidity, 97.40% of Aesthetic Chlorine, 99.30% of Lead, 96.60% of Mercury, 99.90% of 2, 4-D (an herbicide), 97.30% of Alachlor (an herbicide), 94.60% of Atrazine (an herbicide), 98.90% of (a pesticide), and 93.20% of Toxaphene (a pesticide). This Electrolux water filter is also known as the Electrolux FC300 and replaces the FC300 water filter. 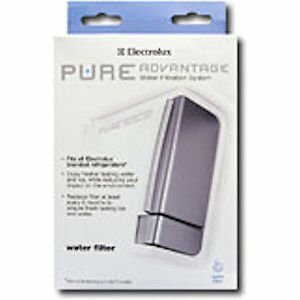 The Electrolux Pure Advantage water filter is tested and certified to ANSI/NSF standards 42 and 53. Note: The AquaFresh WF276 / AquaFresh 275 are interchangeable and compatible replacement refrigerator water filters. 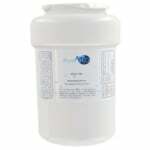 The AquaFresh WF276 / AquaFresh 275 is the correct replacement refrigerator water filter for the Electrolux EWF01. The WF276 fits Electrolux ICON french door models. The WF276 water filter provides clean and delicious ice and drinking water from your refrigerator at all times. 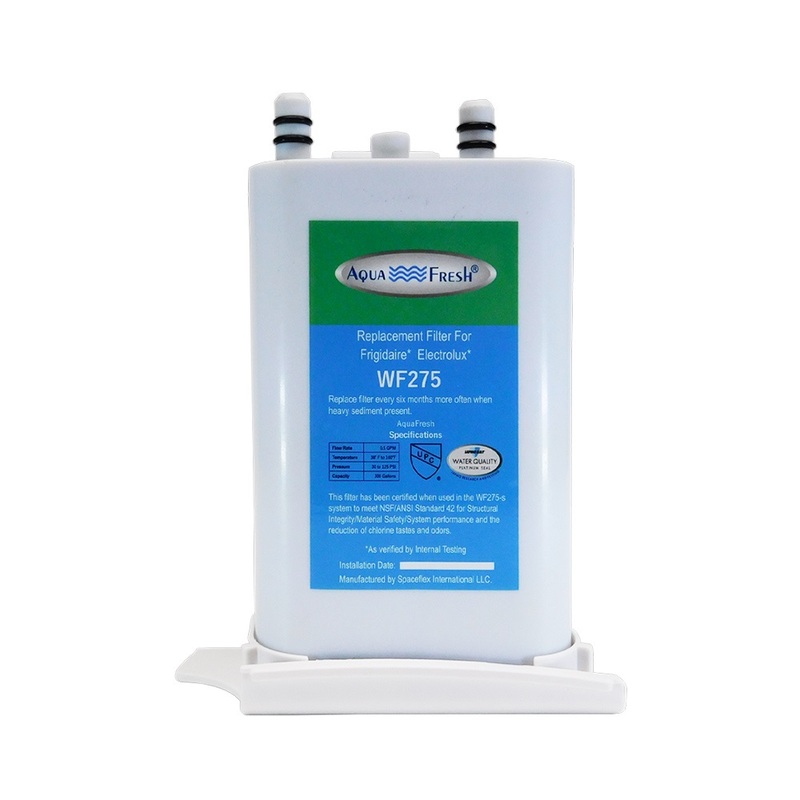 The WF276 reduces and/or removes cysts, turbidity, aesthetic chlorine, lead, mercury and other possible related contaminents found in your drinking water.